Patio season in Saratoga is finally here! After the long months of winter, spring has made it to Saratoga (and/or right around the corner), and you can feel its promise in the slightly milder days and ever-lengthening evenings. What better way to celebrate than with a glass of something fun and a delicious meal? Of course, some years the weather is more cooperative than others, but even if you're still wearing your winter coat and hat, you'll want to head out to the patios for these amazing dishes. Please Note: Some of the following dishes are seasonal, so be sure to call ahead if there's one that catches your eye. 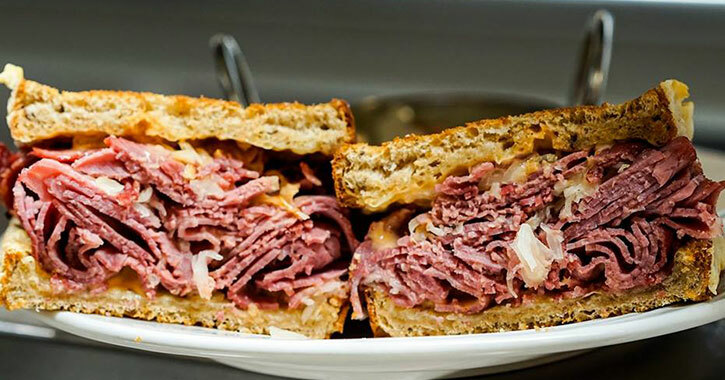 Want to know what’s better than a classic Reuben sandwich at Harvey’s Restaurant and Bar? Eating one of their Reubens while sitting on their amazing rooftop patio! Although Harvey’s serves the type of pub fare you love to eat year round, their Reuben features the perfect combination of corned beef, melted Swiss cheese, sauerkraut, and Russian dressing that will make your mouth water. It’s the best kind of simple yet delicious meal you can enjoy while drinking Guinness with your friends this season! Right on Broadway, Boca's patio offers some of the best people watching in Saratoga. The best part? The food is even better. Offering a variety of tapas and entrees, Boca is the ideal downtown Saratoga restaurant to sit back and welcome the season in style. 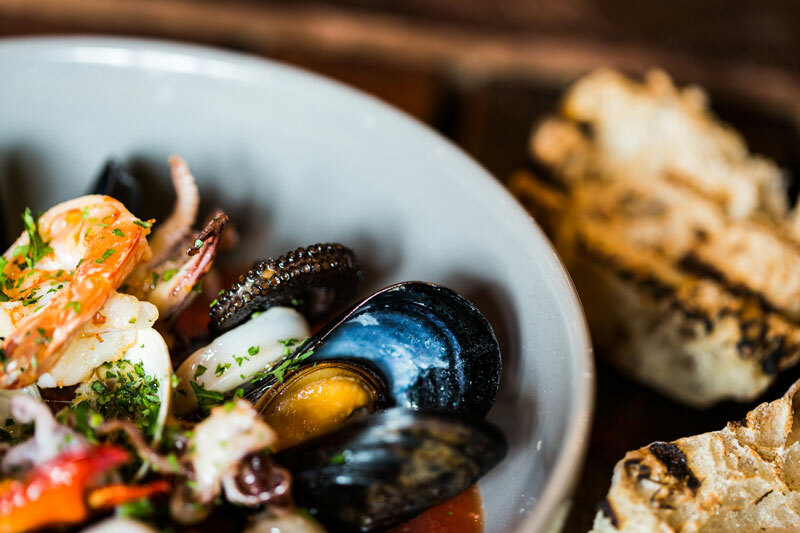 We highly recommend trying the Fisherman's Soup, a hearty soup of littleneck clams, mussels, calamari, shrimp, scallops, tomato broth, and salsa verde. This soup is ideal for spring patio dining - warm and filling but full of the fresh flavors we've come to associate with the season! Setting aside the fried chicken, collards, and mint juleps for a moment, let's talk about Hattie's fried green tomatoes. This delicious appetizer is the perfect prequel to an excellent meal or light accompaniment to happy hour with friends and coworkers. 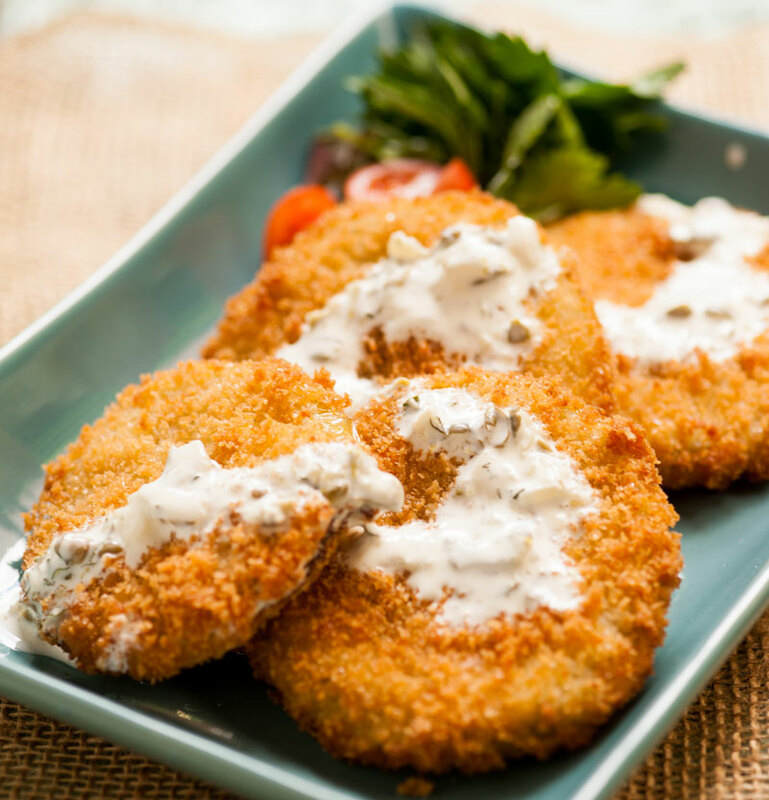 Nothing says spring to a southerner like fried green tomatoes, and Hattie's brings the south to the north in all the best ways. The covered back patio at Hattie's has its own bar, and the side street tables have a distinctly New Orleans, French Quarter feel - fitting for this Southern-style restaurant. Whether you want the famous fried chicken (you want the famous fried chicken) or a spicy serving of jambalaya (ok, so that's pretty great too) or a heaping serving of classic Louisiana gumbo (how's a person to choose? ), Hattie's Restaurant is the place to go in Saratoga for Southern comfort food and a down-home atmosphere. If you are looking for a patio with plenty of shade and comfortable couches for drinking beer with friends and an extensive draft list and live music and great food on top of it all, then Bailey's is your new go-to patio. While we enjoy everything on their menu, we have to recommend the spice-crusted salmon for patio dining during the spring. The refreshing citrus salsa will put you in the mood for summer, and a chilled glass of white wine rounds out the meal perfectly. 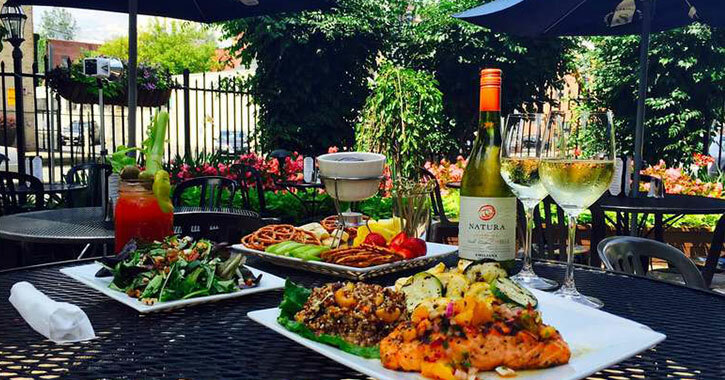 A list of the best outdoor dining in and around Saratoga Springs wouldn't be complete without Druthers. One of the most popular patios in Saratoga, Druthers has excellent beer, fantastic burgers, hearty salads, and some of the best pizza around. This patio is definitely the place to see and be seen during spring and summer. 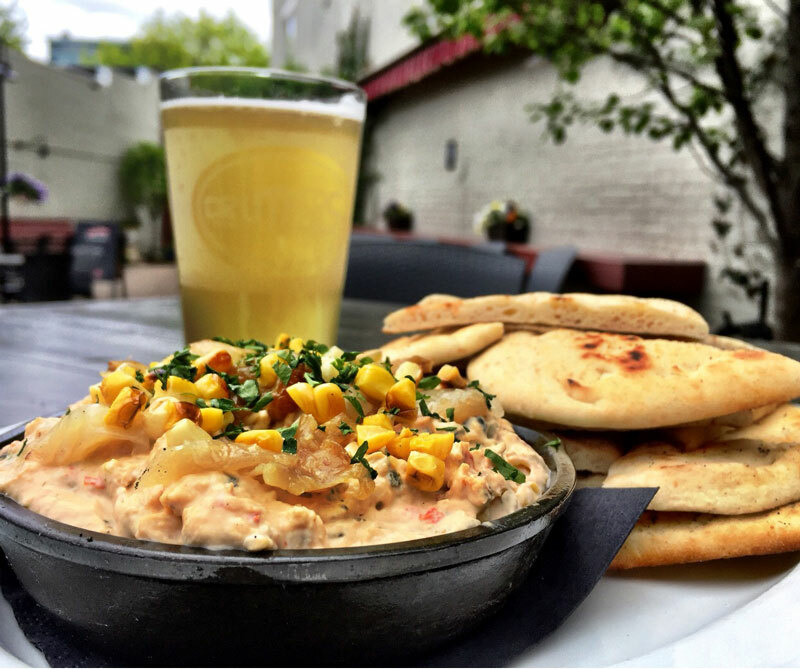 We suggest the wood-fired veggie dip off their summer menu to welcome patio season. This creamy dip pairs well with a crisp, light beer and is an excellent starter for lunch or dinner on the patio!